and said " I Dont give a damn bout no Tenn Vols" or something like that. @g8orbill this is your second dupe thread of the day brother, you need to tighten it up over there! In fact this is a dupe once removed, if you count that there's already a thread on it on the Football board in addition to the one 51 started here. Pay attention to what you're doing, now! What High School? I am a Falcon, PBJC and UF alumnus. Burt sponsored our football team every year. Big sign in the end zone with his mug on it for his theater. Came to many of our games. His boys from Palm Beach High where all at Forest Hill at the time teaching, coaching and AD. Burt was the Original Cool! Although a Nole he was awesome. RIP Brandit. 1 at JC and 4 1/2 at UF. I always admire people who persevere if it was perseverance and not just goofing off. You are only a failure when you quit trying. Hey it took me 8 years of goofing off to get through JC but I finished my last 2 years at UF in a year and a half and graduated with honors. Makes a big difference when you get your priorities straight. I always liked The End. The guy I started our branch with is a Seminole grad. When the news came across the radio he actually said,"I bet that ****-show was the nail in the coffin." Dude isn't sure they win another game other than Saturday. That's OK I misspelled Reynolds so it's technically not a dupe. Algebra 1 in the seventh Grade. R.I.P., Nole. He was probably the last straight male to rock a mustache. Well, not counting law enforcement and MLB Pitchers. Don't forget Tom Selleck in the stache category. Actually I forgot about Deliverance. That was his best and after he watched the movie he said thats when he new he could act. Deliverance....absolutely great movie without question. A lot of folks overlook or forget Deliverance & Burt I think simply because the success of Smokey was so much bigger. 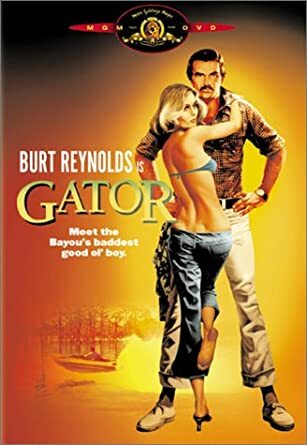 Most everyone's first thought of Burt Reynolds is....and likely will forever be....Bandit. And then "his other movies". "As Burt once explained: "Early in my career, they gave me roles that had as little clothing as possible. As I got older, the wardrobe people were like, 'Let's see if we can add some more layers.'"